Blinker II is a variation from the previous speculative drawing done on a 2D image. I just thought the name appropriate with the apparent floating 'eyes' in the video and elements on rotation seemingly looking like an intermittent batting of an 'eye lash'. That and the sound it was supposed to make...'flick clip' of which I was not able to find an appropriate .WAV! So I have been trying recently to somehow visualise the idea of Pixler; a multi-corresponding particle (basically a pixel in physical form). There were 3 parts here. A voxel which made up the 3D dimensional space of the pixel. A texel which are planes that form textures within the grid. And the pixel, a tri-colour resolute. 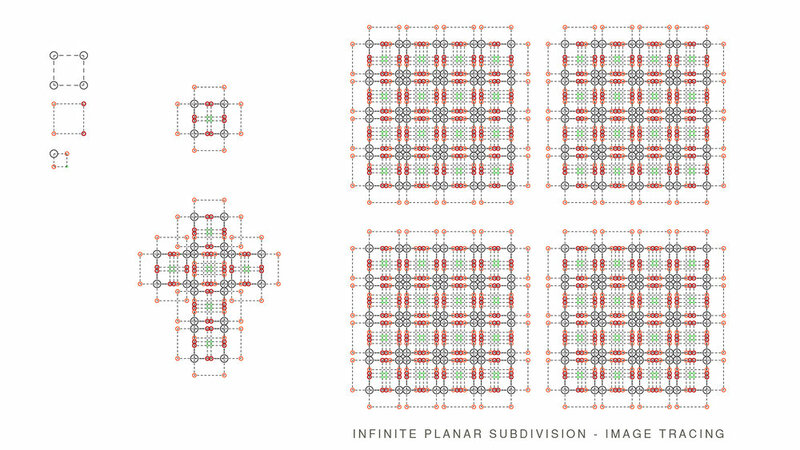 By imagining these components in a physical form, an array pixlers should be able to float in 3D space orientating itself to any form along with its visual entities such as colour, edge and texture. I turned to Element3D for this exercise. A simple geometry was modeled to animate within its individual space and then replicated and scattered. It's really simply done, but I'm just so glad the way the geometry handled itself all within Element3D. I really enjoyed the fact that it could project simple textures in .png form. And with a little deformation and AE glow, I made all those 2D images flicker in brightness. One could animate a seemingly complex scene with almost no import/ complex 3D geometry. Happy times!